Driving is a central part of our modern lives, especially in areas with limited public transportation, but spending too much time behind the wheel can do a number on your body. Driving a lot can increase your risk of being overweight, a common problem among truck drivers who make their living by driving, and it can also cause ergonomic issues, eye problems, and skin damage, among other issues. Luckily, there are plenty of things you can do to counteract these complaints. If you drive a lot, whether for work or leisure, try these five strategies to reduce the impact on your body. You might even find that driving is much more pleasant when you make your health a priority. One of the biggest physical problems caused by driving is poor posture, and there are many elements in how we drive that contribute to the issue, including seat and steering wheel positions. In order to improve your posture while driving, be sure to adjust your car seat so that you’re a comfortable distance from the wheel and the pedals. It’s also important to adjust the position of the steering wheel. 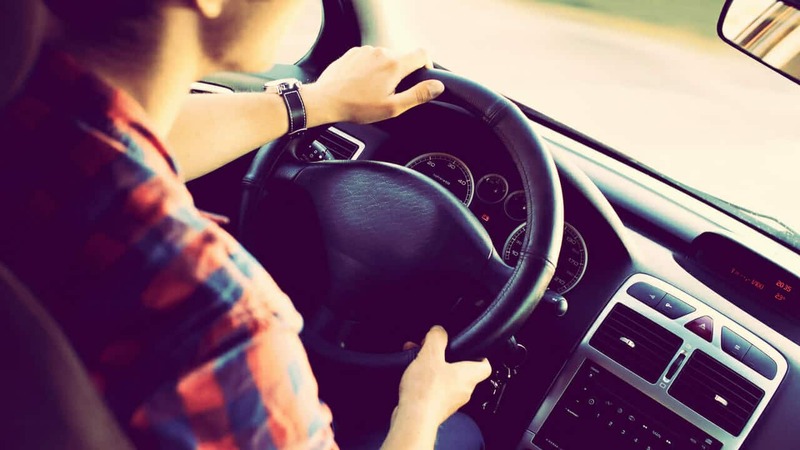 You’ll know you’ve found the right position when your shoulders move up and down to turn the wheel; in contrast, a steering wheel that’s in the wrong position will force you to rotate or lean in to turn the wheel. Adjusting your seat and steering wheel will primarily improve alignment in your upper body, but driving a lot also tends to cause significant lower back pain. Some drivers find that using a seat cushion or lumbar support pillow can decrease lower back pain. And don’t forge to take your wallet out of your back pocket before you buckle up. Your wallet can create a lump, skewing your hip alignment and hurting your lower back. It’s a small thing that can make a big difference. The health issues associated with driving aren’t exclusively physical; all that time in the car can do a number on your mental health, as well. Some drivers experience anxiety about traffic, hazardous conditions like rain and snow, or worry about other drivers being aggressive. If the anxiety becomes too severe, you may even find yourself avoiding trips under certain conditions, postponing errands, or struggling to make your commute – but there are ways to counter these concerns. One of the best things you can do if you find driving stressful is to invest in some peace of mind. Are you worried about getting locked out of your car or getting into an accident in bad weather? Consider buying an emergency kit with road flares, a flashlight, jumper cables, water, band-aids, and other supplies, and make a spare key for your car that you can keep separate from your main key. And don’t forget to get a AAA membership so that you always have access to professional help in an emergency. All this can do wonders for your stress levels if you find driving to be a source of anxiety. Rest stops aren’t exactly known for their healthy selections and a lot of snacks designed to be eaten on the go are high in salt, sugar, and fat. So what should you do when you need to eat on your way to a destination? Your best option is to pack healthy snacks before you start driving. Some great, easy to eat snacks you can turn to when driving include almonds, hard boiled eggs, raw vegetables, and fresh fruit. Whole grain crackers can also provide a fiber boost that will keep you full for longer. When eating on the road, you want to eat low-glycemic index foods that will satiate you but won’t give you a sugar crash, leaving you drowsy behind the wheel. Do you wear sunglasses when you’re driving? What about sunscreen? Though many drivers remember to put on their sunglasses to avoid glare and be more comfortable, your skin may actually be far more at risk from driving-related sun exposure. One recent assessment of car windows showed that, though the front windshield of cars block as much as 96% of UV-A rays, side windows only block about 44% of these rays. And once you open the window, you have no protection. Because of this poor side window protection, doctors see a preponderance of skin cancers, particularly facial skin cancers, and cataracts on the left side of the body, with numbers uniquely high among those who drive professionally. You can protect your eyes and skin by wearing sunscreen and sunglasses when driving and applying tinted coverings to your side windows to block out more UV-A rays. You’re getting a lot more sun exposure while driving than you may realize. Finally, when driving, be sure to take regular breaks and try to fit in some exercise. There are plenty of exercises you can do when sitting in the car, including stretching your arms up and using the roof as resistance, doing ab contractions, and practicing spinal twists using the seat as leverage. Outside the car, you can take walks at the rest area, do leg stretches and toe touches, and even do jumping jacks. It’s important to fit in these small opportunities for movement to keep your muscles limber, increase your heart rate, and even reduce stress. It’s also important to take your eyes off the road and shift your gaze distance on occasion to reduce eyestrain. Driving is often unavoidable, but the related negative health outcomes aren’t inevitable. Rather, you just need to put this necessary activity in its place and frame it with good for your habits. If you make an effort to care for your body by minding your posture, eating healthy snacks, and taking breaks during longer drives, driving just becomes another activity. Don’t let it be a hindrance to your health. Previous articleNeonatal Abstinence Syndrome: Are Women in Recovery at Risk?